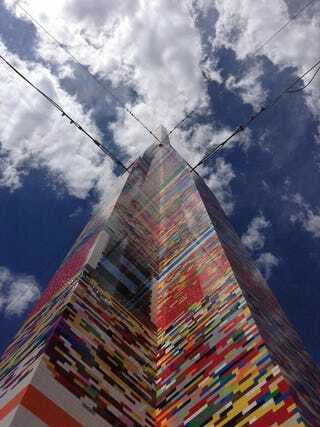 Red Clay School District sets the world record for the tallest Lego tower at 112 feet. This massive construction used 500,000 Lego bricks (that explains why I can't find any legos...) assembled by students and school officials. They did it as a celebration to kick off the school year called "Red Clay TowerFest". This tower beat the former record of 106 feet, set last year.